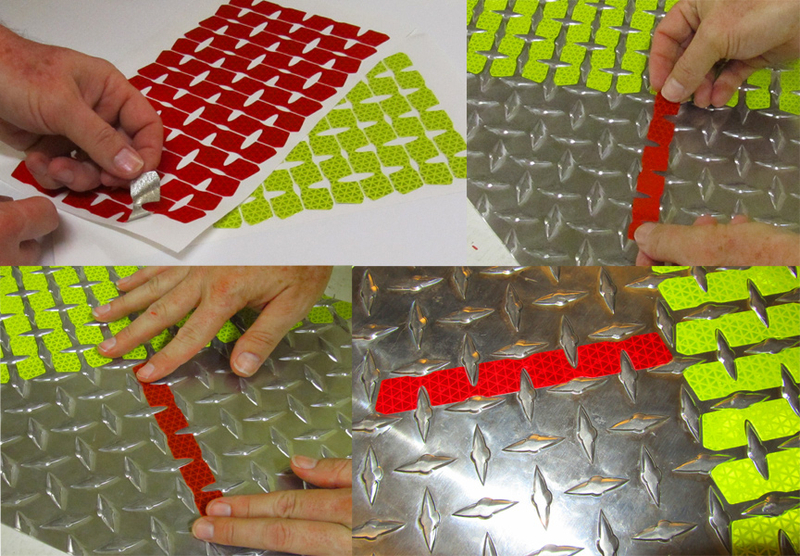 On this page we sell a large assortment of Reflective Shapes designed for a variety of applications. Our reflective shape categories are as follows (use the drop down menu above to make your selection. More detail on products and pricing below. 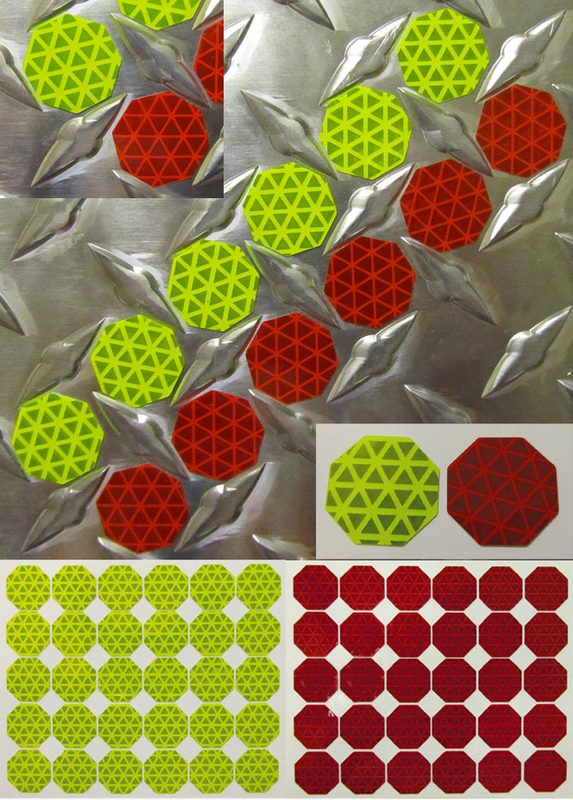 3/4 Reflective DOTS (circles) , OCTAGONS or SQUARES for Diamond Plate. Cut from Oralite V98 Material. Sheets of 100 Dots run $10 each. 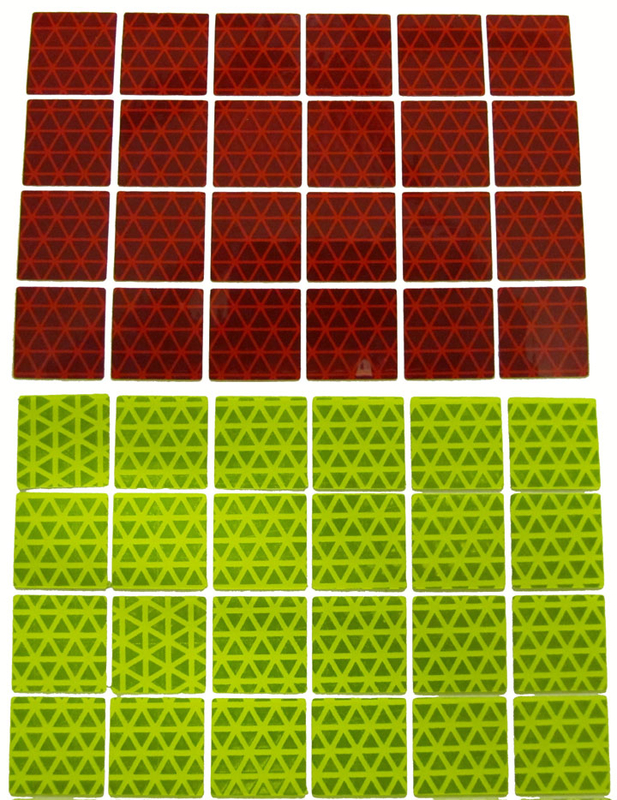 (10 cents per dot) Available in Fluorescent Lime and Red. We sell these in lots of 100 dots on a sheet. 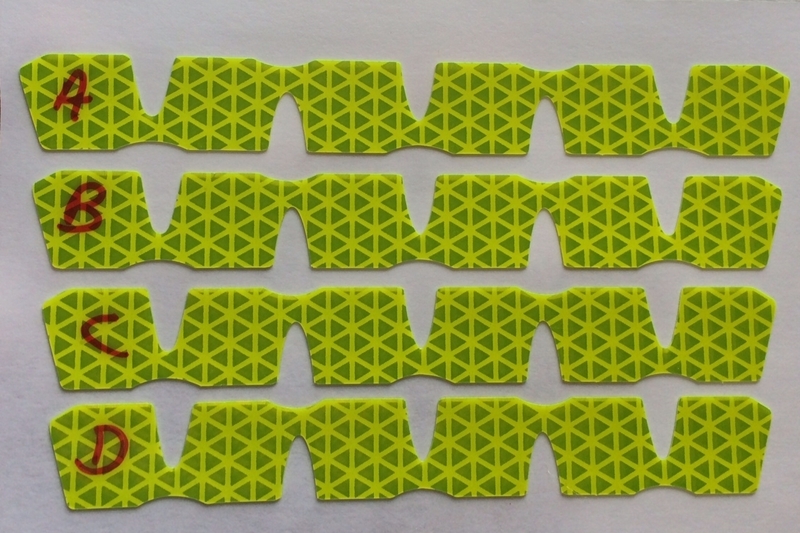 For example, to order 1000 dots you would enter 10 in the quantity box above. 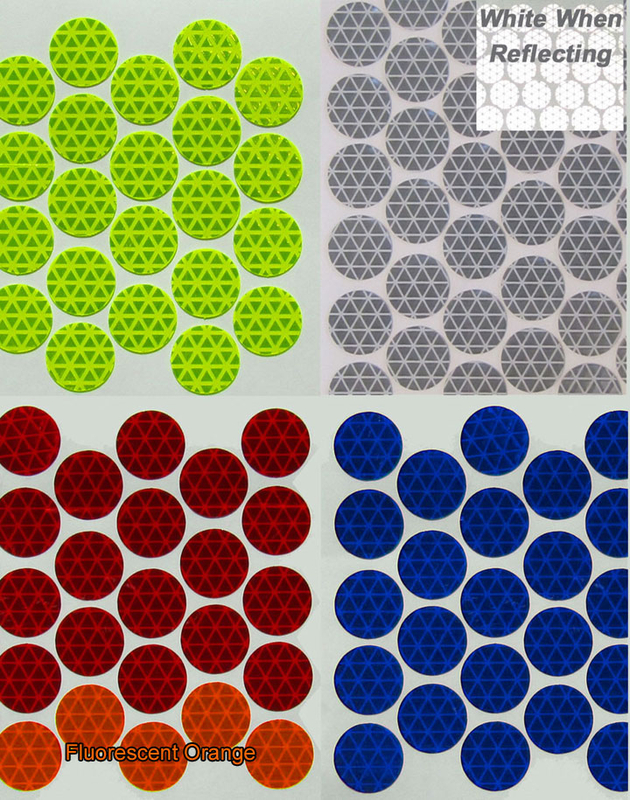 To install our reflective dots or circles you simply peel and stick to a clean, dry surface. Click Here to use our diamond plate shape calculator. Select the color you would like using the drop down menu above. Then input how many square feet of decals you need. To get both colors just add the first color to your cart and then come back and order the second color.